In collaboration with the Alameda County Resource Conservation District, SAGE managed a three-year USDA Beginning Farmer and Rancher Development Program grant that provided technical assistance to new farmers in Contra Costa, Alameda and Santa Clara Counties. Development of a robust regional network of BFRs, mentors, and technical advisors that will serve as a platform for ongoing resource sharing, producer-to-producer education, and marketing collaboration. Workshop topics included: Succession Planning on the Farm or Ranch, Grazing for Local Markets, Niche Marketing Opportunities for Ranchers, Pesticide-Free Orchard and Vineyard Management, Marketing 101 for Small-Scale Specialty Crops, Watershed Stewardship, On-Farm Hedgerows, Weed Management, Soil Fertility and Soils Management, Irrigation Management, Production 101 Topics and Agri-Tourism. 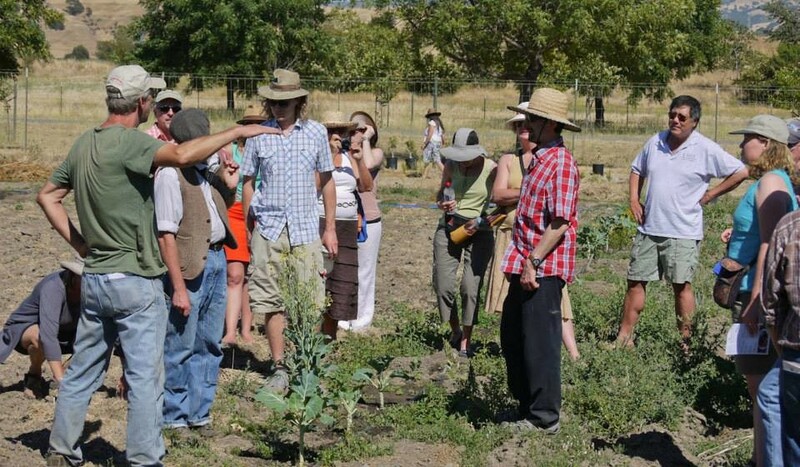 The project also developed an East Bay Farmer & Rancher Mentorship Program. The program paired beginning producers with more experienced farmers and ranchers to enhance knowledge, skill sharing, and promote success during the challenging first years of production. The Sunol Water Temple Agricultural Case Study was produced as part of this project.